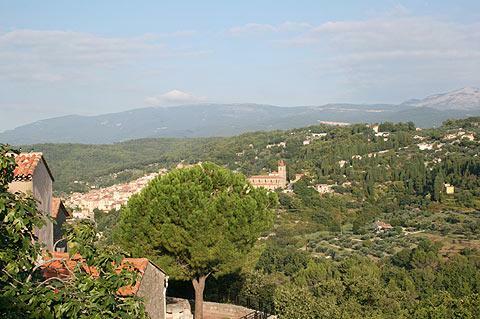 Montauroux is a traditional small Provencal village situated in the hills of the Var department, about 20 kilometres inland from Cannes and the Cote d'Azur. As soon as you park in the main village square at the bottom of Montauroux the first thing you will notice is the far-reaching view from the belvedere that runs across the southern side of the square (there is also a table d'orientation to explain what you can see). Turning away from the view the town hall is at one end of the square and the Montauroux tourist office at the other. While you are here take a look at the traditional lavoir (public washhouse) just off the square (directly below the viewpoint and next to the tourist office). 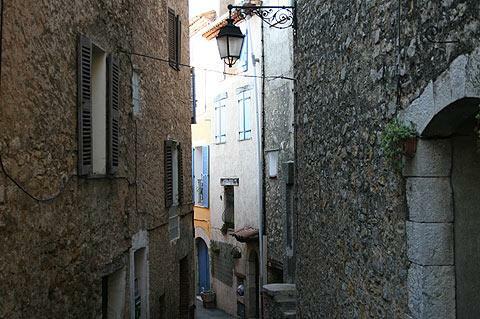 Follow one of the streets that heads north from the square to start exploring the old town. 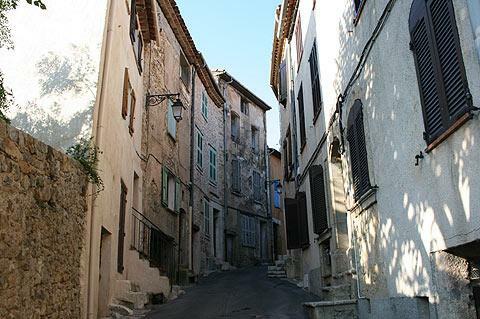 These pretty streets are lined with traditional Provencal houses, with the occasional small square or fountain to discover en route, and any of the streets heading up the hill will sooner or later lead you to the church that stands towards the top of the village. 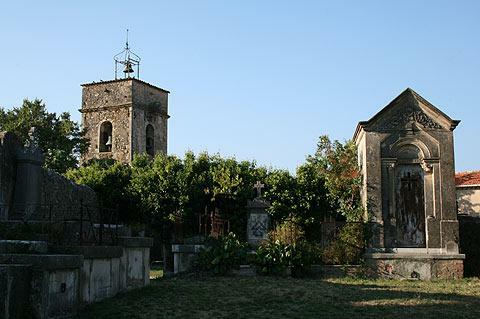 The Church of Saint Barthelemy dates from the 12th century, although it was substantially modified in the late 17th century, and is a traditional church with a campanile. Stroll round the back of the church to see the small Chapel of Saint Barthelemy. The chapel was built by the 'penitents blancs' in the 17th century using stone from a castle that once stood here. 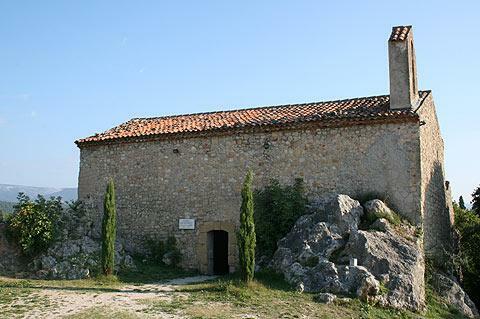 After three centuries the chapel ended up in the ownership of Christian Dior, who has a summer home nearby, who gave the chapel as a gift to the village. 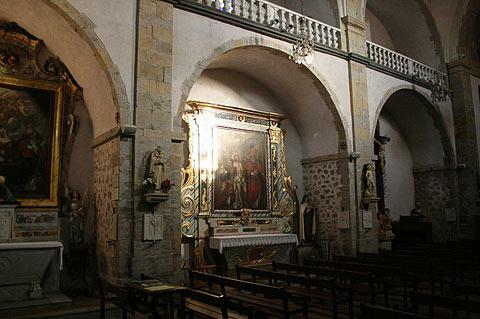 Inside the chapel is an unexpected surprise, with the walls and ceiling covered with painted panels and a large painting of Saint Bartholemy behind the altar. Behind the chapel there is a small cemetery and another viewpoint, this time towards the hills of the north and nearby Callian. Be sure to follow a different street back down the hill through the village. South-east of the village the large Lake of Saint-Cassien offers various leisure activities including the chance to hire a boat or enjoy a lakeside beach. Nature enthusiasts will also want to spend some time exploring the unspoiled natural environment of the Gorges de la Haute-Siagne, while garden enthusiasts will enjy a visit to the bamboo garden, also on the banks of the Siagne river and a very extensive garden with numerous different species of bamboo. 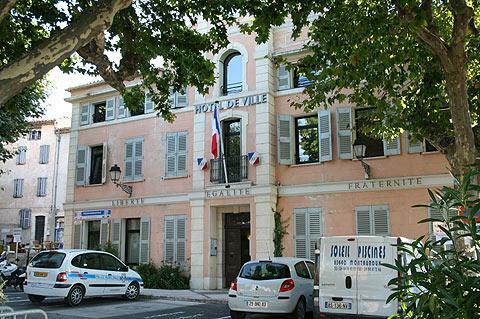 There are several other villages that are also a pleasure to explore in the surrounding Pays de Fayence region, including Callian, Seillans and Fayence.